At Vale Vets, we understand the importance of having easy access to professional pet care that you can rely on. We have nearly 30 years’ experience of providing first class veterinary care and health checkups for our local clients their pets, and focus on building lasting, trusting relationships with all our clients. One of the nearest veterinary practices to Herne Hill, Vale Vets is situated on Streatham Vale, within easy access off Glencairn Road from Streatham High Road. Continue under the railway bridge and turn right into Sherwood Avenue where our practice is located. There’s on-street parking outside the surgery on Woodmanstern Road or by the side on Farmhouse Road, so even brining large animals into the practice shouldn’t be a problem. Why not pop in for a check-up for your pet? At Vale Vets, we focus on building long-term relationships with our clients to ensure that their pets are cared for ‘from the cradle to the grave’. We offer a wide range of services designed to give your pet a long and healthy life, making every effort so that you receive the best service you deserve. Our service menu contains a long list of services and treatments – from a simple check-up or new puppy/kitten advice to neutering and microchipping, flea/worm control, dental care and much more. 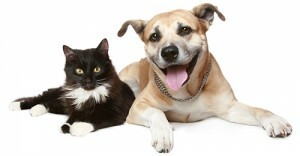 We also offer a comprehensive pet care plans as insurance for cats, dogs and rabbits. Our pet care plan includes a range of free treatments designed to help you whenever need it. What’s more, you will receive a 10% discount on any additional treatment, can book in for a free checkups and even get kennel cough vaccinations for your dog! For more information about the treatment provide at Vale Vets, please visit our services page. As an established and highly respected veterinary practice serving Herne Hill and the surrounding areas, Vale Vets are looking forward to looking after your pet. Why not get in touch today to find out how we can help? With our handy location, a spacious reception room, a large consulting rooms and ample kennel space, visiting our practice couldn’t be more convenient. And if your pet should need to stay with us for any length of time, rest assured that they will be comfortable and well looked after. Give us a call on 0208 679 6969 where a member of our professional team will happily answer any questions you might have, or email info@valevets.com and we will get back to you as soon as possible.